Home Ink Cartridge News Bank Holiday Weekend! This weekend is a Bank Holiday Weekend! That means an extra day off school and an extra day off work (for some of us, at least). Although it’s almost May, the weather this month has been tricky to say the least. One minute it’s warm and sunny, the next it’s hailing, the next it’s snowing… It’s a nightmare! The weather this weekend is looking a little bit frightful with barely any sun and mostly rain. Not sure what to do with your kids this Bank Holiday? The weather being too cold to take them out and do stuff with? Why not stay in and print out some colouring pages from Google to keep your kids entertained whilst you sit back and relax with a cup of tea in front of the telly. 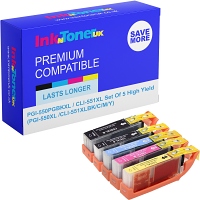 Need ink or toner cartridges to print out your colouring pages? Well here at Ink N Toner UK, we’re dedicated to providing you with the ink and toner products you need for the most affordable price. Click here for ink cartridges and click here for toner cartridges.